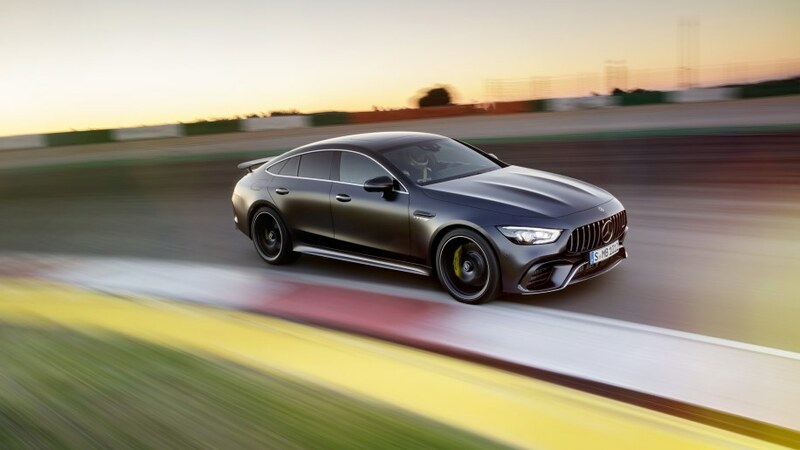 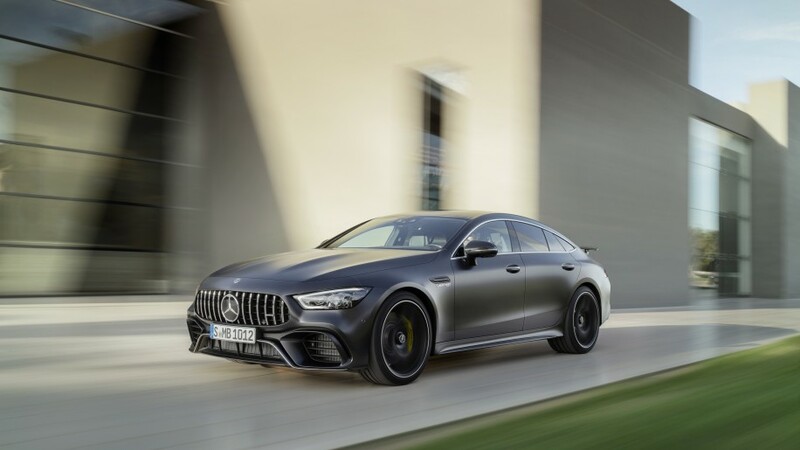 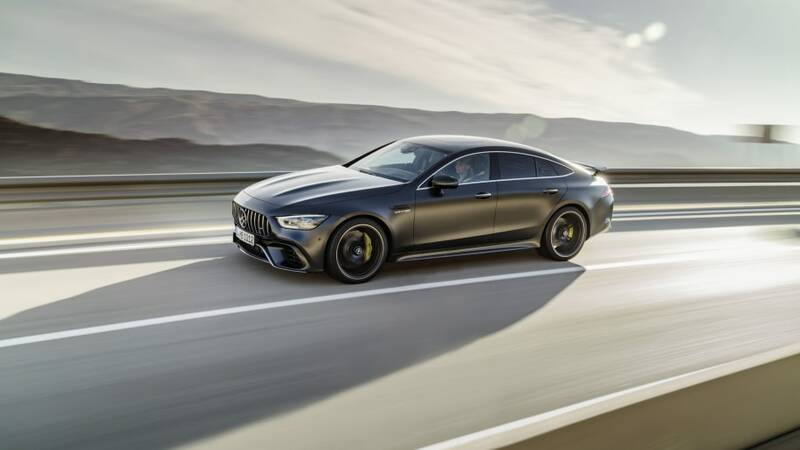 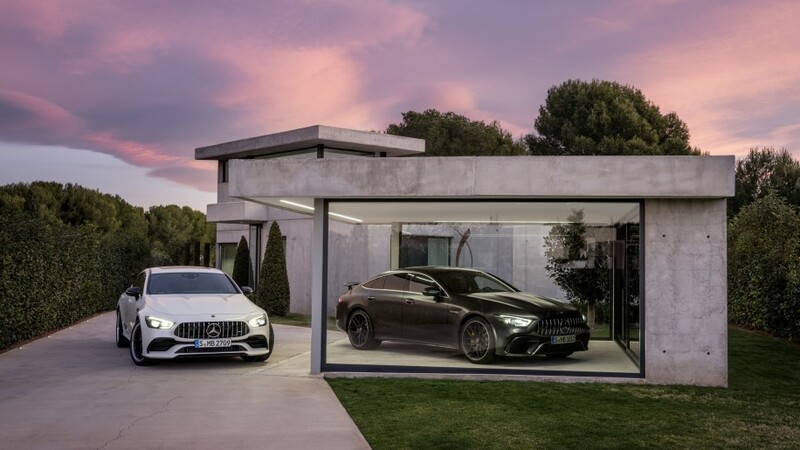 To more important matters, the AMG GT 4-Door will come in three potencies: the 4.0-liter, twin-turbo V8 AMG GT 63 S with 630 horsepower and 627 pound-feet of torque, the AMG GT 63 with the same engine detuned to 577 hp and 533 lb-ft, and a 3.0-liter, turbocharged inline six-cylinder AMG GT 53 with 429 hp and 384 lb-ft, aided by an EQ Boost electric motor. 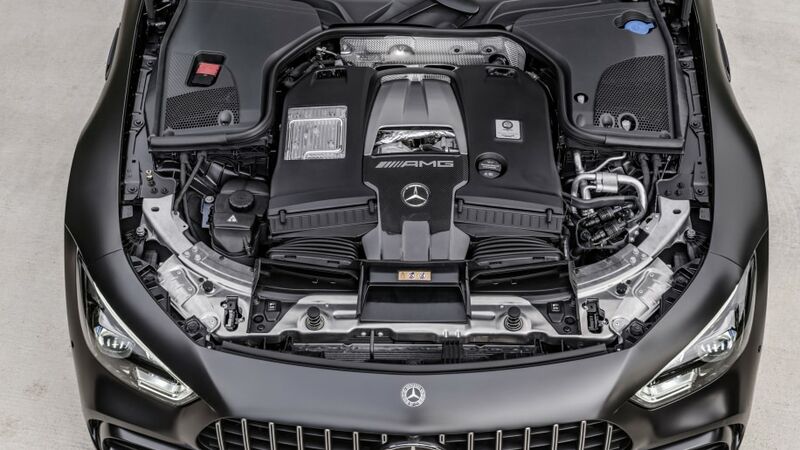 Every model comes with rear-biased 4Matic, and the V8s get cylinder deactivation and anti-friction bearings in the turbine wheels. 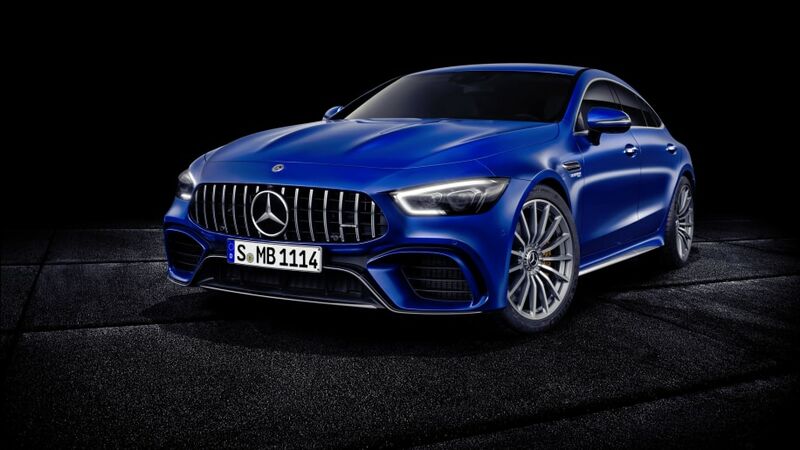 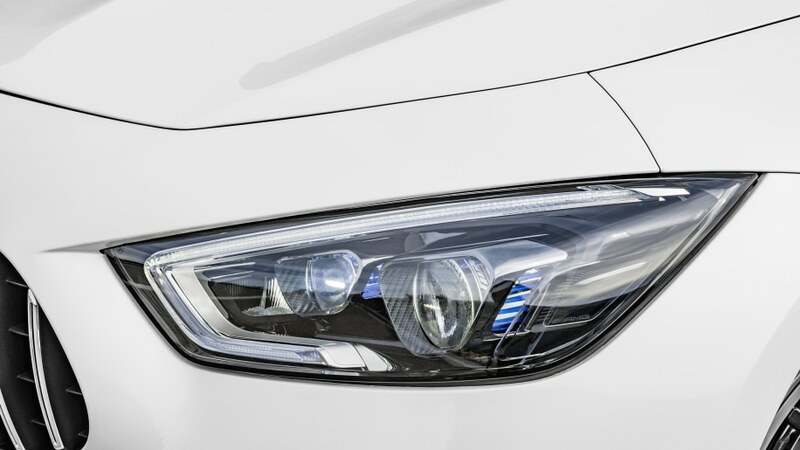 As far as we can tell, those naming conventions will distinguish the sedan from the coupe on paper; the coupe uses letter designations S, C, and R, not numbers. 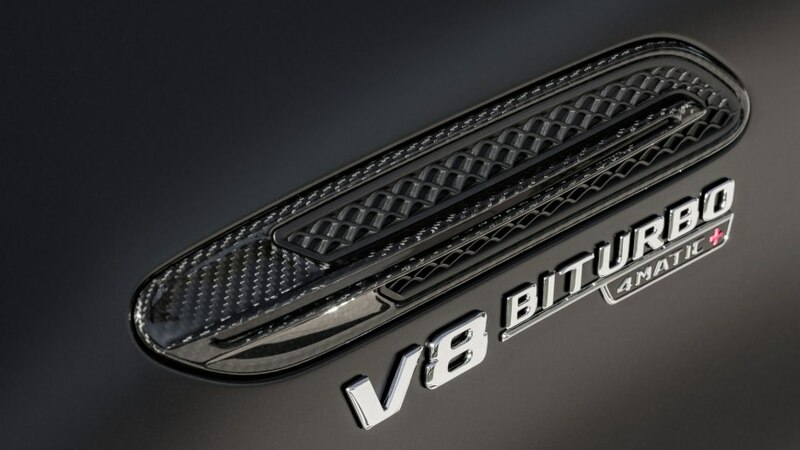 Visually, the V8 models distance themselves from the inline-six with self-contained side intakes bearing three louvers, Silver Shadow trim on the front splitter, a more pronounced rear diffuser, and quad trapezoidal tailpipes. 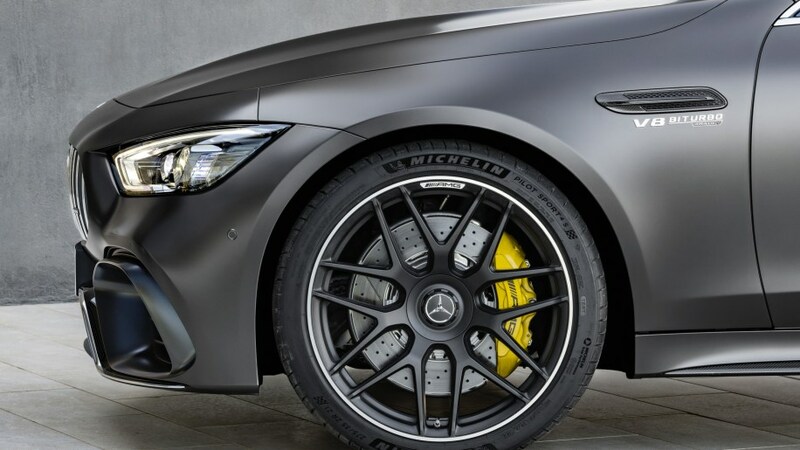 The 63 S wears yellow brake calipers, the plain 63 uses red calipers, the 53 gets fitted with silver calipers. 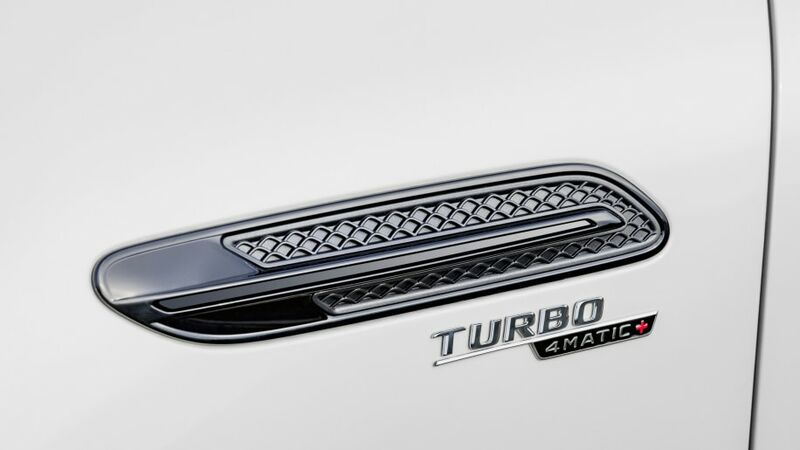 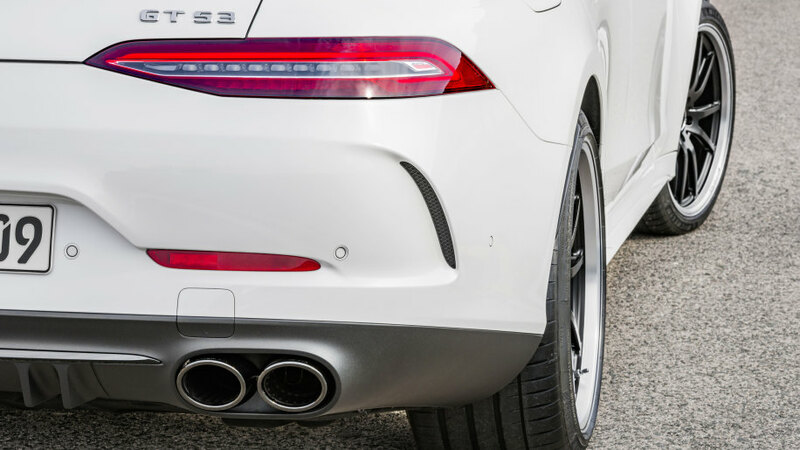 The inline-six's front intake extends across the front of the sedan, and the tailpipes are round. 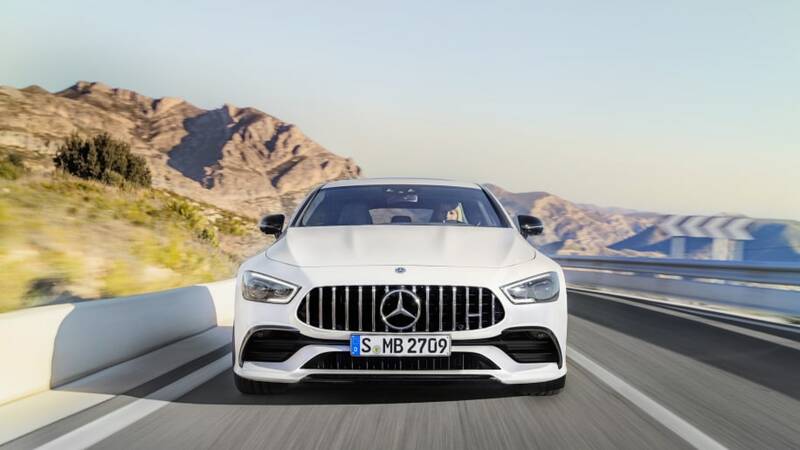 All models get the AirPanel louvers behind the grille that open and close to promote cooling and efficiency, and all get LED headlights and taillights, and an active rear spoiler. 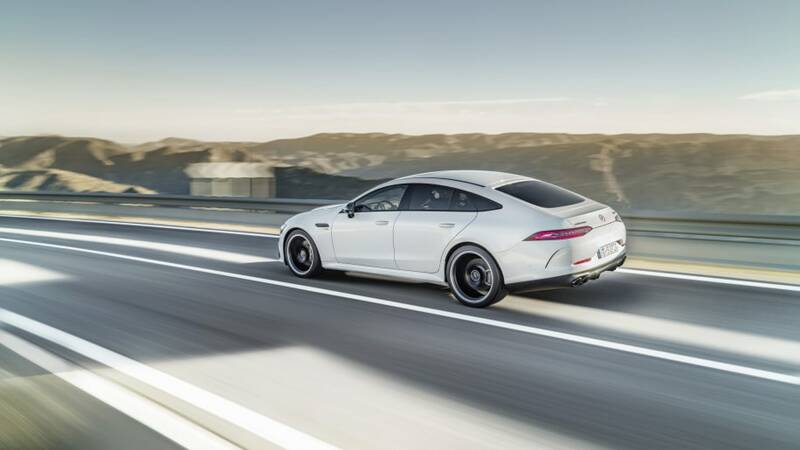 Five available packages overhaul the look of the car, but four are cosmetic: the Night Package, Chrome Package, and two Carbon-Fiber Packages. 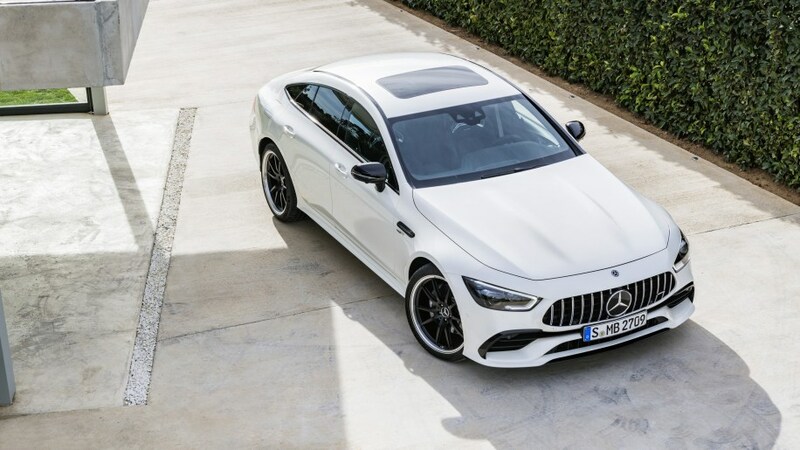 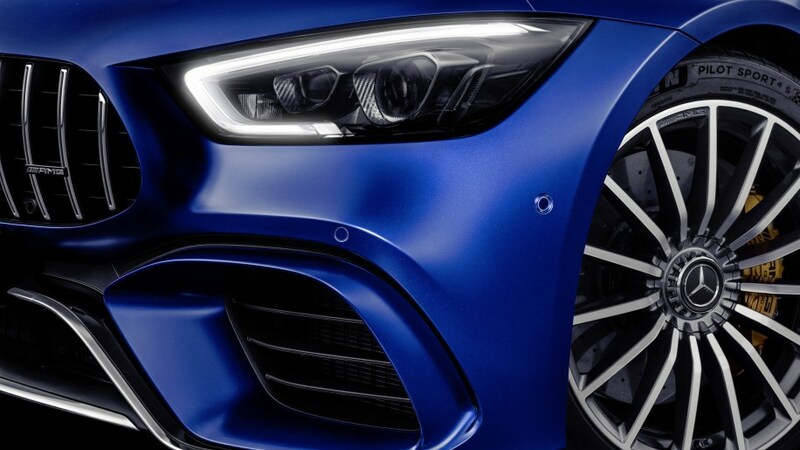 The Aerodynamics Package — pictured on the black sedan in the gallery — substitutes a larger front splitter, a modified diffuser, and a fixed wing on the rear hatch with manual adjustment. 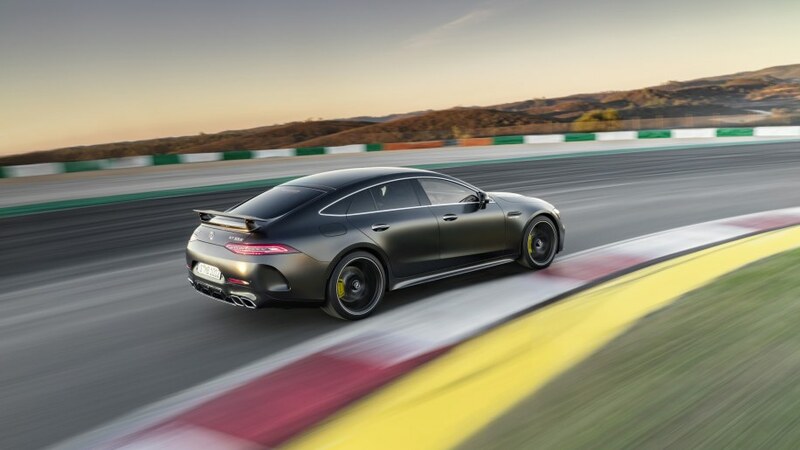 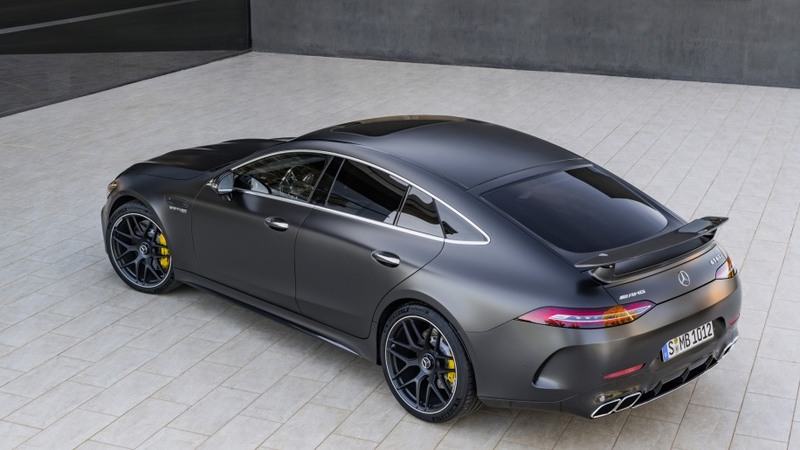 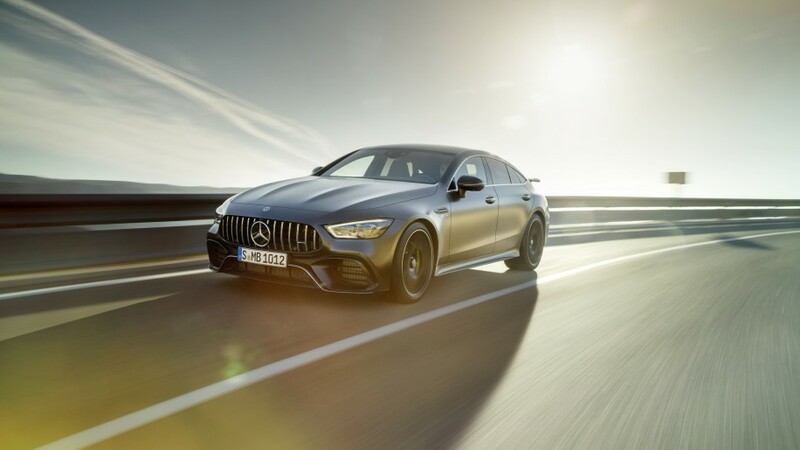 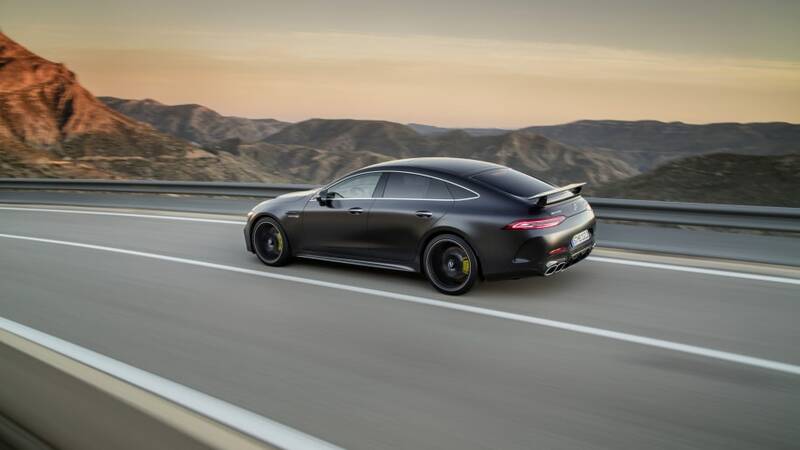 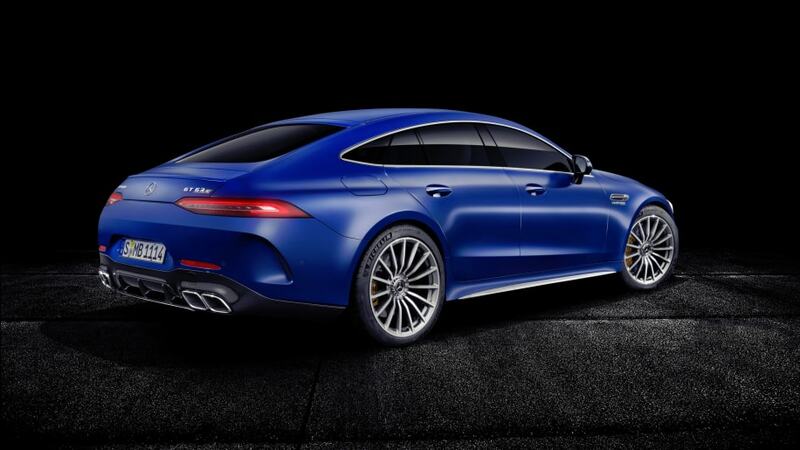 The top-gun AMG GT 63 S brings all the goodies to the yard, including standard active engine mounts, an electronically controlled locking rear diff, and a pure rear-wheel drive Drift Mode. 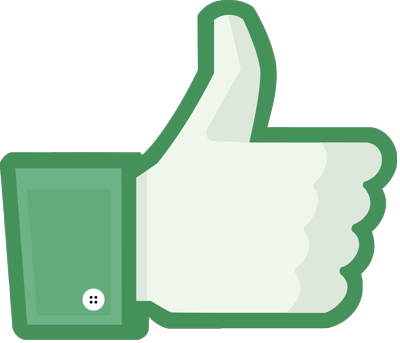 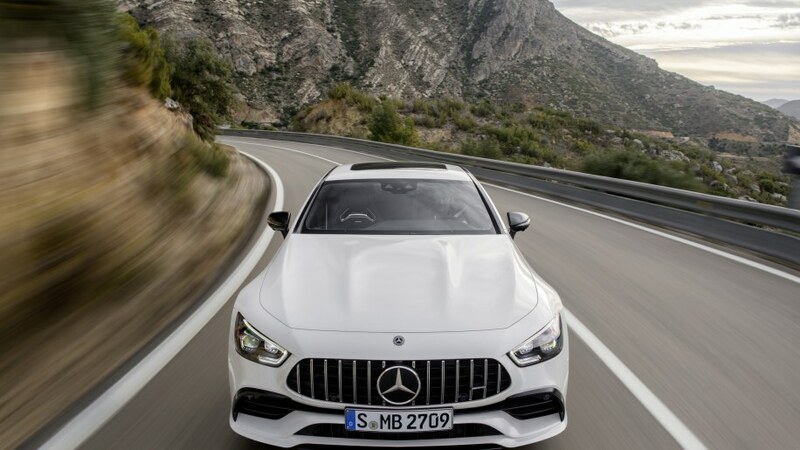 Rabbiting from 0 to 60 miles per hour takes 3.1 seconds, and top speed is 195 mph. 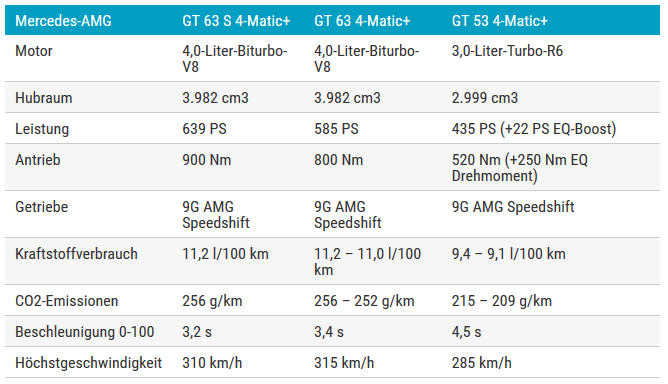 Lose the S and the timed run takes 3.3 seconds, top speed maxes out at 193 mph. 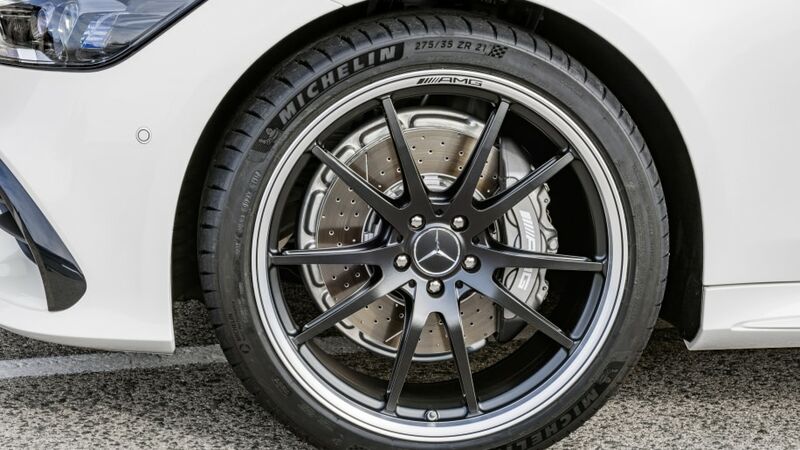 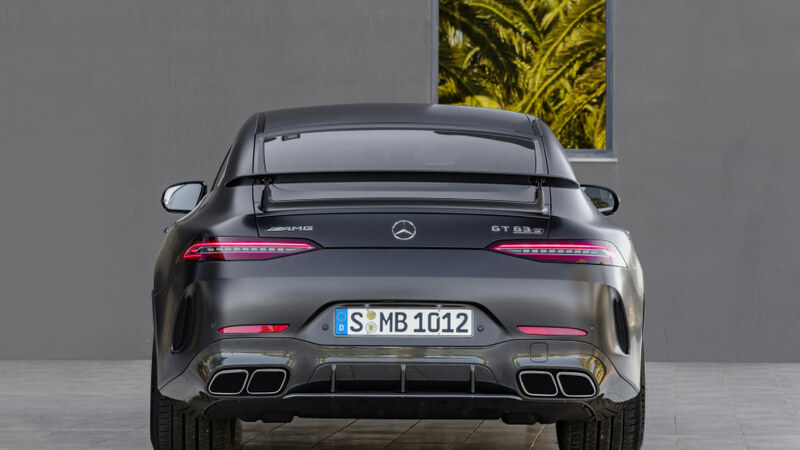 Both models use the AMG MCT nine-speed with a wet clutch, AMG's dynamic air ride suspension, and rear-wheel steering. 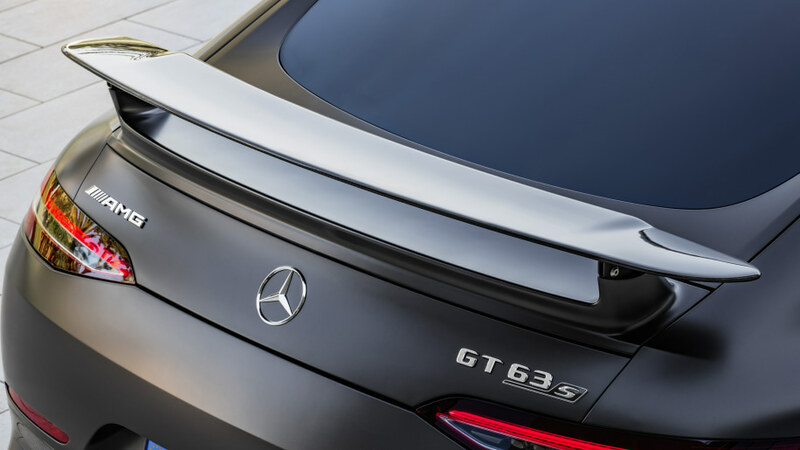 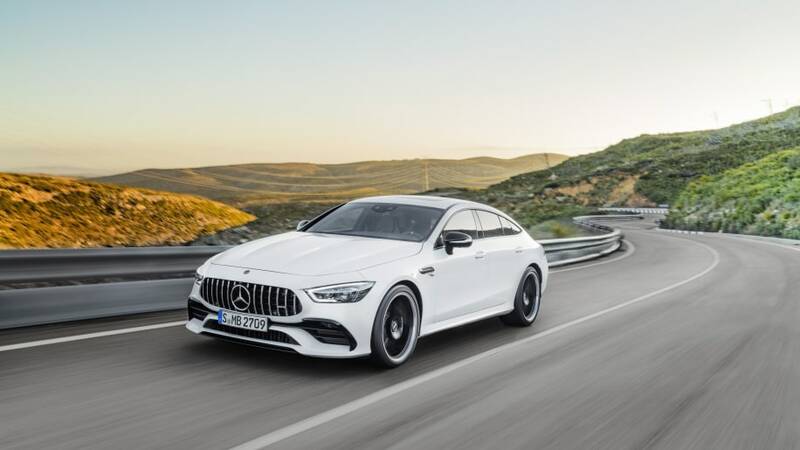 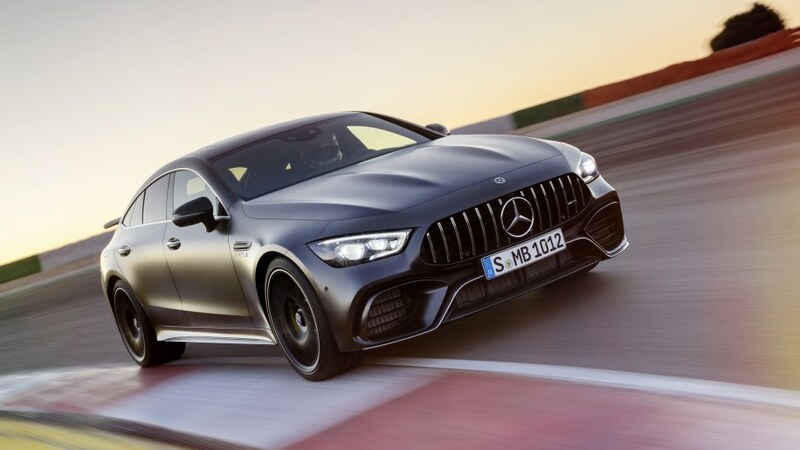 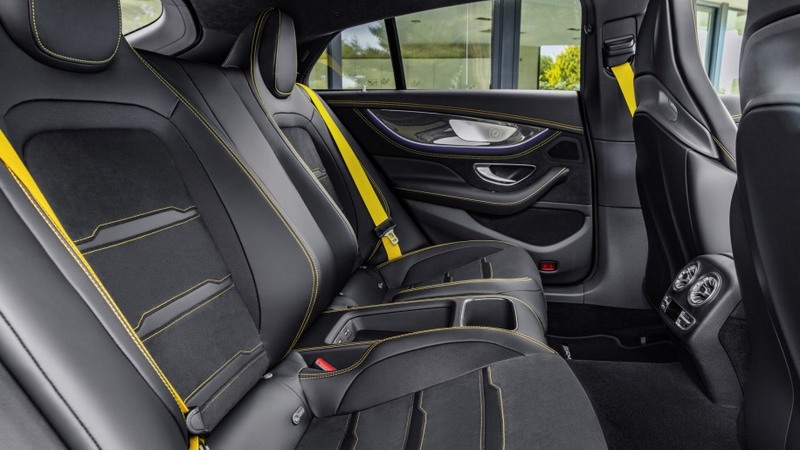 The inline-six AMG GT 53 takes 4.4 seconds to reach 60 mph, tops out at 174 mph, shifts through AMG's TCT nine-speed automatic with a torque converter, and rides on adjustable dampers with steel coil springs. 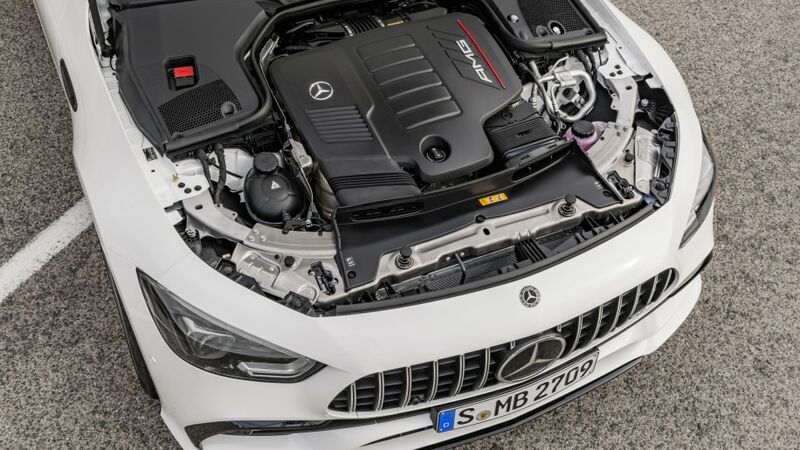 There's a 48-volt battery tucked inside, and the EQ boost unit mounted between the engine and transmission is responsible for up to 21 hp and 184 lb-ft of the sedan's output numbers. 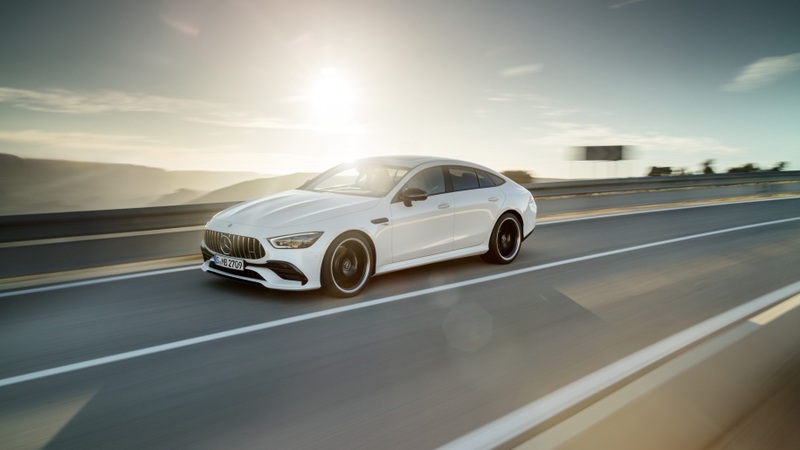 The new AMG Performance Steering Wheel features small Touch Control pads to manage items like the infotainment, six drive programs, and three agility programs within the drive modes. 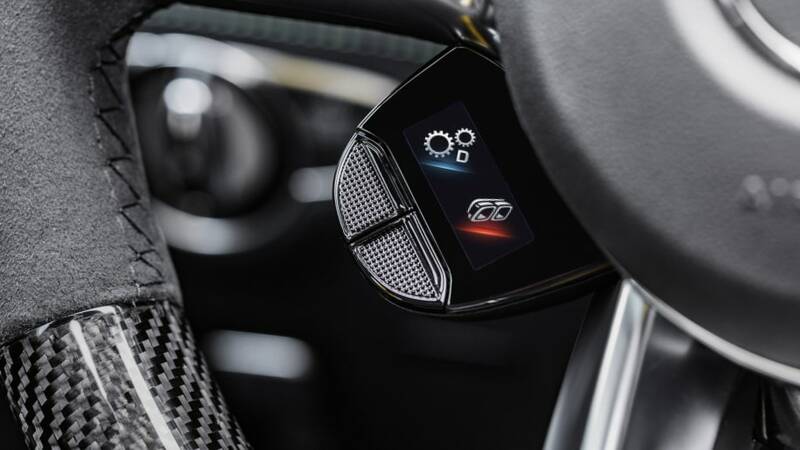 An optional steering wheel attaches two illuminated, color display buttons to either side of the wheel center, which control functions like the drive programs and exhaust noise. 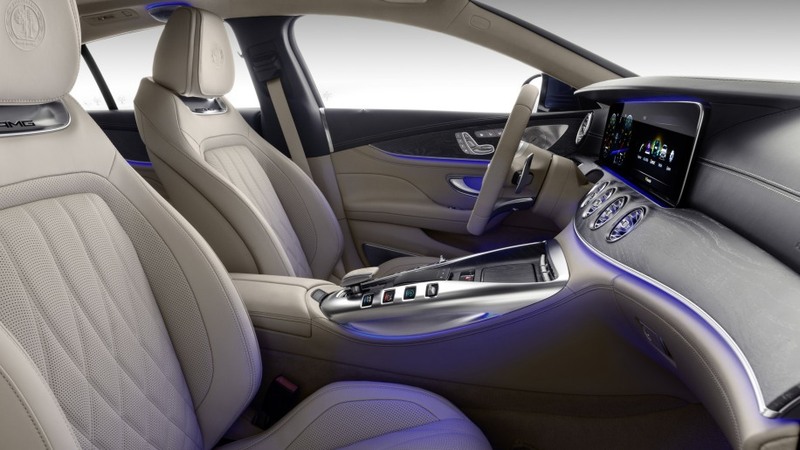 The widescreen digital cockpit comes standard on all U.S. models, two 12.3-inch screens stretching across the dash and instrument panel. 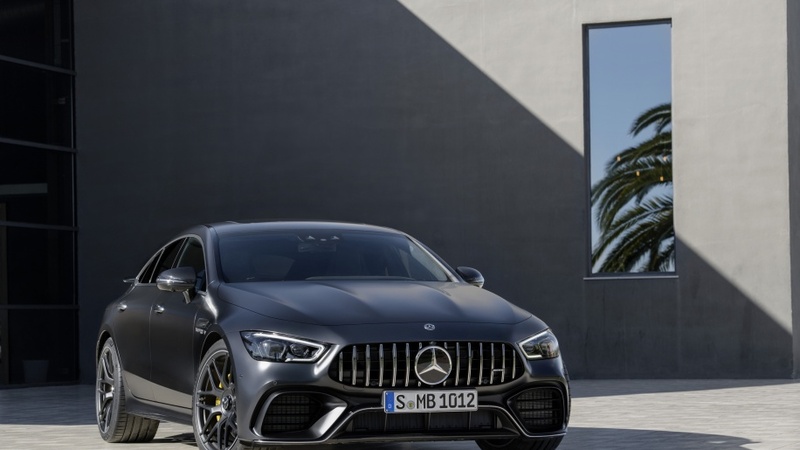 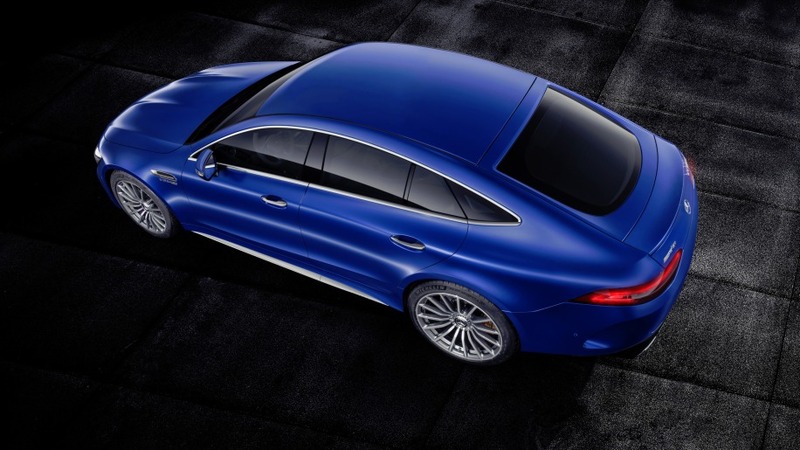 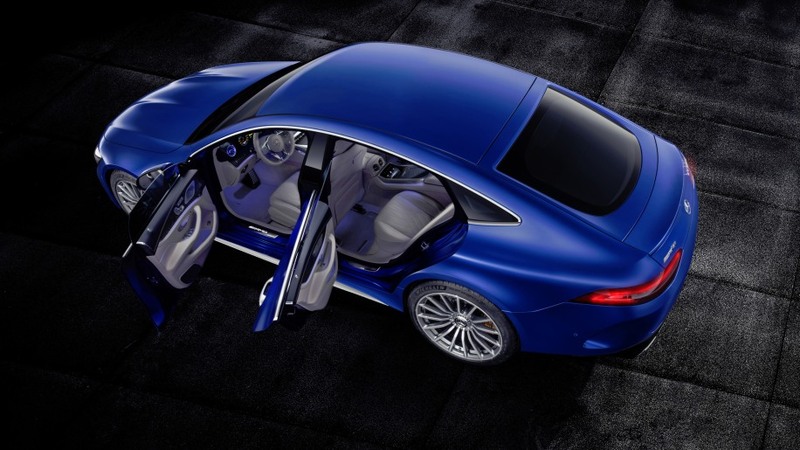 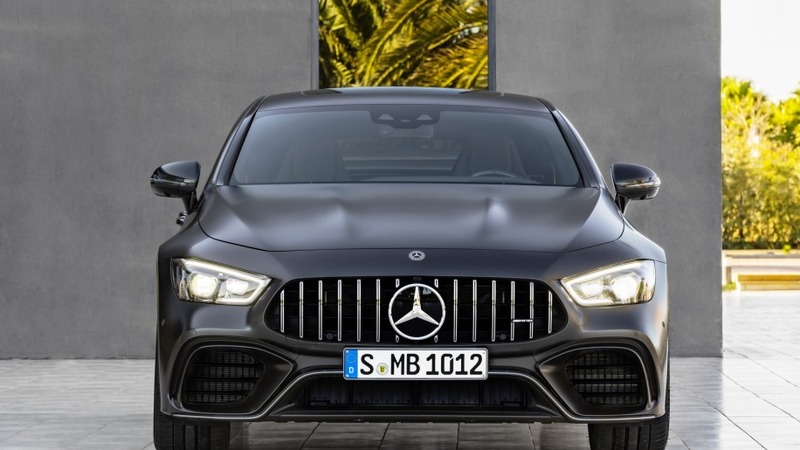 Information displays are organized into "Classic," "Sport" and "Supersport" themes, the last of which shows "extensive additional AMG-specific information" and power delivery details. 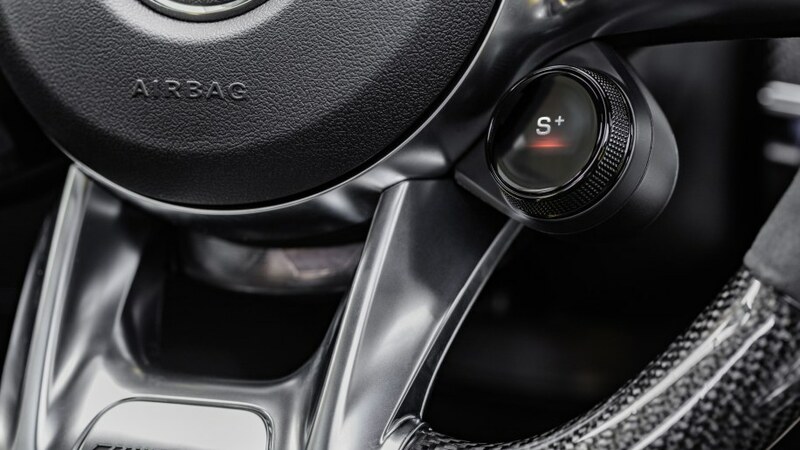 More color buttons adorn the center display, some of which use capacitive switches so that they illuminate when they detect a hovering finger. 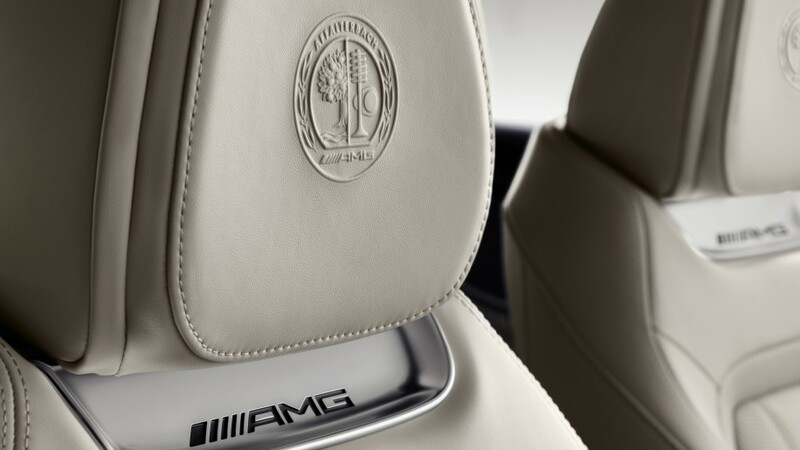 Front seating options range from diamond-quilted comfort to AMG sport buckets. 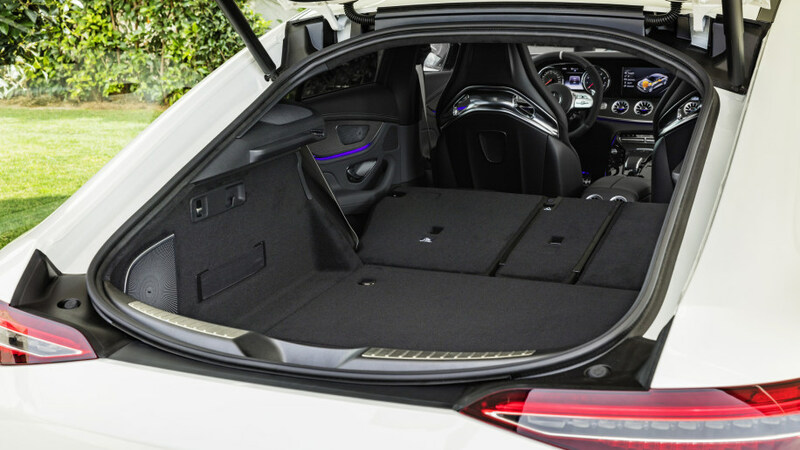 Rear passengers in the U.S. can settle into either carbon-backed buckets that don't fold down, or an Executive Rear Seat that splits three ways, 40/20/40. 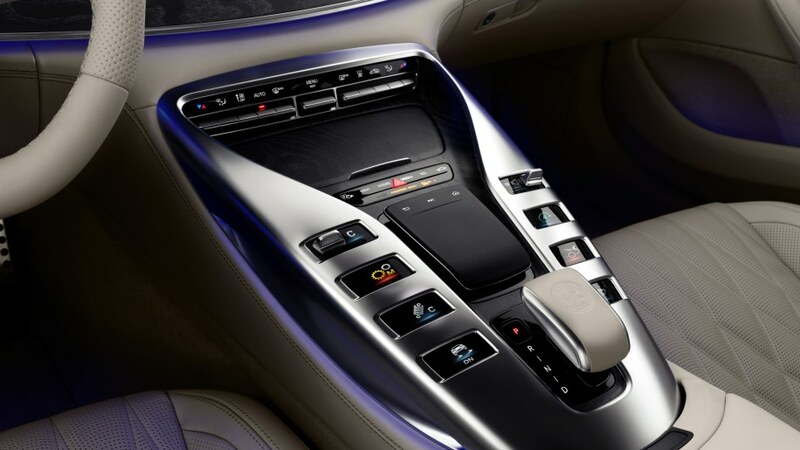 That Executive arrangement installs a touchpad in the rear center console to distract backseat drivers into backseat amenity fiddlers. 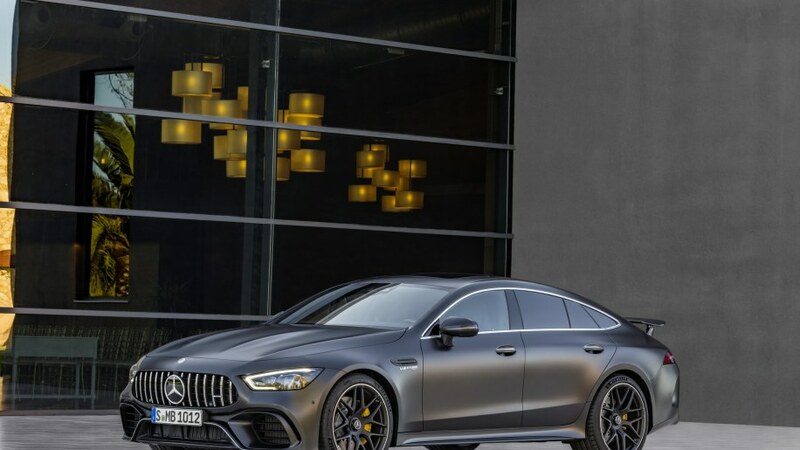 For the first time ever, every occupant can enjoy a devoted AMG fragrance atomized into the cabin, described as "an appealing, sporty scent." 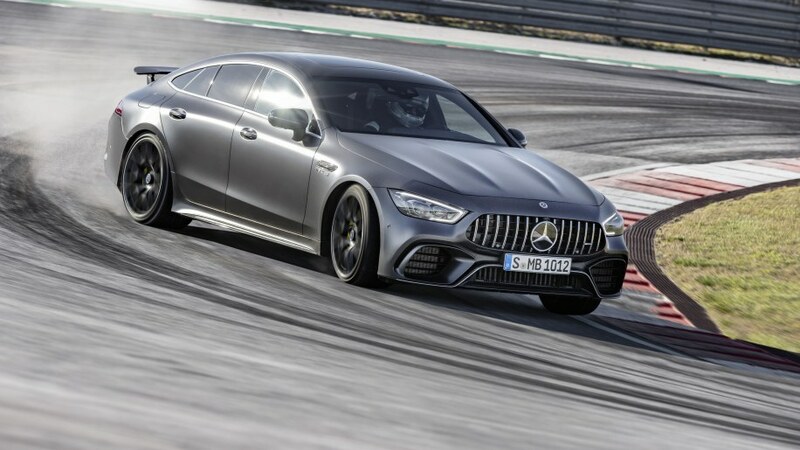 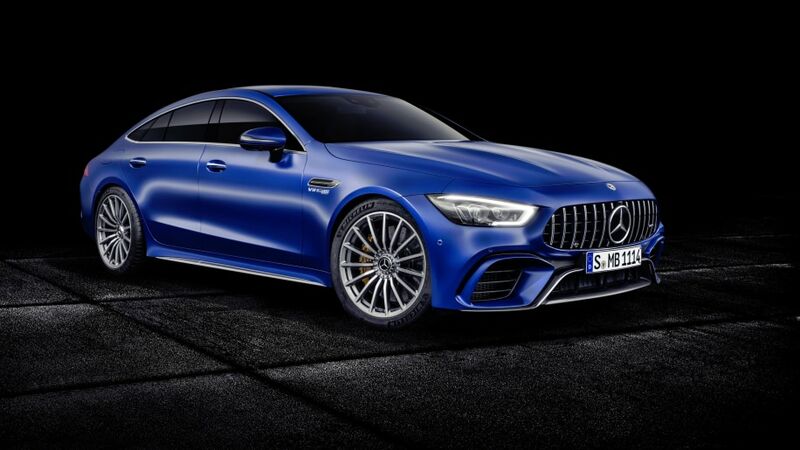 The AMG GT 63 S and GT 63 go on sale in early 2019, the GT 53 follows soon after in mid-2019. 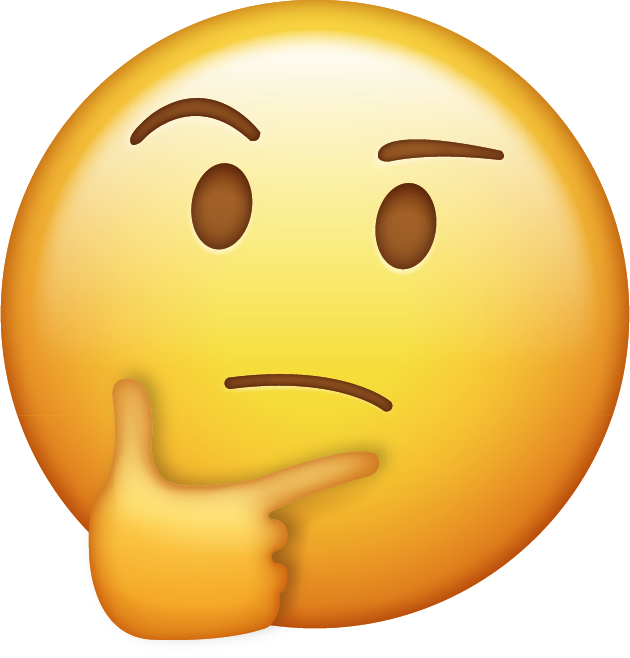 Boh... non mi dice niente... pacchiana e abbastanza anonima! 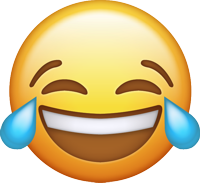 Ma figa, nel duemila mai ancora con le ali al posteriore fisse.